As Majone (1999) has observed, the approval of EU authority – as a predominantly regulatory political system – is based on the perception that supranational regulation corrects market failures by relying on a technical exercise and scientific knowledge managed by independent regulators, e.g. the European Commission and European independent agencies. Experts and scientific knowledge has played a key role in EU politics and its significance is increasing as well as takes on new shapes (Gornitzka and Holst, 2015). However, against this backdrop, an increasing body of literature has observed that scientific experts’ involvement in regulatory processes is rather contested (Gornitzka and Holst, 2015; Schrefler, 2010; Radaelli, 2009; Boswell, 2008). Scholars argue that even though regulatory duties are deemed to be a highly scientific pursuit predominantly focused on the technical-instrumental use of scientific knowledge, expertise can actually have many functions in policy/decision-making. That is, alongside the technical-instrumental (or problem-solving) use of knowledge, European regulators can also employ strategic or symbolic uses of scientific expertise. To that end, the recent publications of Rimkutė and Haverland (2015) and Rimkutė (2015) contribute to this scholarship focusing on the role and functions of scientific knowledge by empirically examining how expertise is used by European regulators and by providing theoretical explanations regarding the variance in scientific knowledge use by supranational regulators. How do scientists perceive their role in EU policy-making? The article entitled “How does the European Commission use scientific expertise? Results from a survey of scientific members of the Commission’s expert committees” builds on the recent scholarship introducing a typology of knowledge use (Schrefler, 2010; Radaelli, 2009; Boswell, 2008) and suggests further improvements in its conceptualisation and operationalization, however, in particular it aims at empirical contribution. The article informs the debates on the role of scientific expertise in European Union policy-making, a query that is particularly relevant in the case of the Commission’s exclusive responsibility and duty to initiate proposals. In this article, we sought to go beyond the existing case studies by systematically tapping into the use of scientific knowledge across various policy issues and Directorates General (DG) of the Commission. We contribute to the literature with a large-N study in which we surveyed more than a 100 scientists who had participated in the Commission expert groups. In particular, we focused on how scientists’ advice was used by the Commission, and asked: what attitudes do scientists providing scientific advice to the European Commission hold regarding their contribution to policies shaped and adapted at the EU level? How do scientists perceive their role in EU policy-making? The article “Explaining Differences in Scientific Expertise Use: The Politics of Pesticides” further explores how European regulator – European regulatory agencies – actually contend with their core tasks of providing scientific advice to EU institutions. In this contribution, I go one step further and contribute to the theoretical explanation of when and under what conditions different uses of scientific knowledge prevail. I draw upon the theoretical insights of sociological institutionalism and resource dependence theory. The core argument of the article is that whether the regulatory policy process can yield efficient and credible problem-solving solutions is contingent upon both (1) the external environment in which a certain scientific output production process takes place, i.e. the level of formal and informal pressure and (2) the internal agency’s capacity to produce science-based outputs (Rimkutė, 2015: 116). In empirical analysis, I focus on one type of knowledge use – strategic substantiating – that refers to those practices in which an agency seeks to promote and justify its own or external actors’ predetermined preferences, which are based on certain values, political or economic interests. The strategic substantiating use of scientific knowledge is expected to occur under the conditions of high external pressure and high scientific capacity. To test this theoretical expectation, the case of the neonicotinoid pesticides risk assessment for bees has been selected. The risk assessment has been produced by the key European risk assessor in food safety regulation – European Food Safety Authority (EFSA). The empirical analysis combines a variety of data sources including official documents, press releases, scientific outputs, and 10 semi-structured interviews with the academic and industry experts involved in the process. Specifically, the case of neonicotinoid pesticides has been selected as EFSA in this particular case possessed a high capacity to produce scientific expertise because it successfully mobilised internal human resources: the largest EFSA’s unit—the Pesticides Unit— was in charge of drafting scientific outputs. 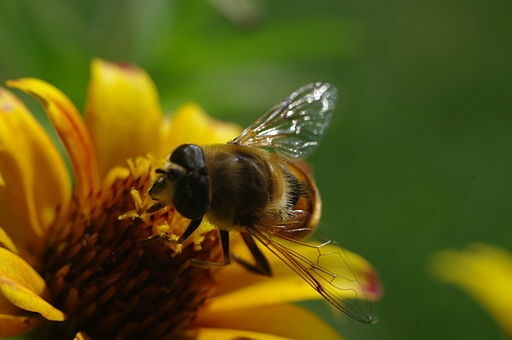 In addition, EFSA had much sound external research evidence at its disposal when drafting scientific conclusions: extensive sources of expertise, data, knowledge, and understanding of honeybees and the neonicotinoid pesticides. However, the organisational field in which EFSA had to deliver its scientific opinion consisted of defined opposing positions (laboratory research vs. field research) and the conflicting configurations of inter-organisational structures competing with each other (industry vs. beekeeping associations and NGOs). The biggest chemical manufacturers in Europe, Bayer CropScience, Syngenta AG, have been actively involved in the process and in due course have filed legal actions challenging the Commission’s restrictions and accused the Commission of not relying on the entire scientific evidence available and, in so doing, they challenged the EU pesticide regulation. The article empirically illustrated that such conditions paved the way for the strategic substantiating use of expertise. It concludes that the interaction between high external pressure and high internal capacity leads to the strategic substantiating use of expertise, in which scientific evidence is used to promote the inclinations of actors upon which the agency depends most. This study develops starting points for further research as it introduced a general theory explaining the differences in scientific expertise use, which have been tested only partly and in one particular context, i.e. one issue within one EU regulatory agency. However, the theoretical argument of the article could be said to be relevant to all expertise bodies acting on the basis of scientific knowledge, including the Commission, comitology committees, national agencies, international organisations, or other executive, regulatory or information bodies whose expertise feeds into various policy-making stages. To that end, I suggest that testing the theoretical explanations outlined in the article in different contexts would clearly be a requisite for further research. Boswell, C. (2008). The political functions of expert knowledge: Knowledge and legitimation in European Union immigration policy. Journal of European Public Policy, 15(4), 471-488. Majone, G. (1999). ‘The regulatory state and its legitimacy problems’, West European Politics, 22 (1): 1-13. Radaelli, C.M. (2009). Measuring policy learning across Europe: regulatory impact assessment in comparative perspective, Journal of European Public Policy, 16 (8): 1145–1164. Rimkute, D. (2015). Explaining differences in scientific expertise use: The politics of pesticides. Politics and Governance, 3 (1): 114-127. Rimkute, D. and Haverland, M. (2015). How does the European Commission use scientific expertise? Results from a survey of scientific members of the Commission’s expert committees. Comparative European Politics, 13 (4): 430–449. Schrefler, L. (2010). The usage of scientific knowledge by independent regulatory agencies. Governance, 23(2): 309-330. This entry was posted in Politics & Public Policy, Science & Technology, The EU and tagged Europe of Knowledge, expertise. Bookmark the permalink.